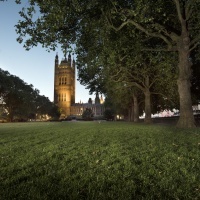 George Williams advocated to industry the commercial and aesthetic benefits of improving the appearance of products. The Council of Industrial Design realised that showing ‘improved’ objects to the public was another form of communicating its message: it launched a Design Centre in London in April 1956. A Scottish Design Centre opened in Glasgow in 1957. In our present time the notion of officially-approved, centrallyco-ordinated visual surroundings seems at odds with free-market consumer choice, but in 1957 it was seen as a remedy for the burgeoning clamour of unregulated commercial design. The CoID – renamed the Design Council in 1972 – granted a label of endorsement to goods which it considered to have good characteristics of appearance and function, selling many of them in a shop at its Centre. An exhibition space hosted extended displays of design culture: it would make the look of the railways a mainstream public concern by staging several presentations concentrating on British Railways and British Rail. Before British Railways was reinvented as British Rail, Williams promoted the work of his department at the Design Centre. 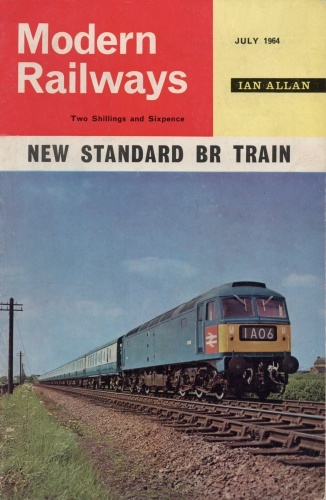 ‘New Design for British Railways’ enjoyed 80,000 visitors between 27 February and 23 March 1963 before touring to the Scottish Design Centre, to Moscow in the Soviet Union the following year, and as an exhibition train called ‘The New Railways’ which toured to 38 locations in May–October 1964. As a snapshot of Design Panel activity, this made a timely point to look back on its first seven years, during which the railway work by consultants Wilkes & Ashmore (vehicle superstructure design) and Design Research Unit (vehicles, uniforms, graphics) gained ground and intensity. ‘New Design for British Railways’ celebrated the diversity of projects and indicated the potential for an extension of design management across all activities throughout the network. Experiments in livery, staff dress, vehicle and graphic design formed the core of the display. The range of transformed work-wear imparted a contemporary yet familiar human countenance to the state system. Wilkes & Ashmore contributed three full-size carriage mock-ups so that visitors could actually sit in the ‘Coach of the Future’. Small models of vehicles pointed towards new forms and possible colours: D1015 (class 52) Western Champion carried the ‘Golden Ochre’ livery suggested by Brian Haresnape; a D7000 series ‘Hymek’ locomotive and six coaches were shown in light grey and ochre, afterwards described by the consultants as ‘a rather dirty yellow’. With positive public approval, in a matter of months the idea of a single corporate image became a practical reality. area electrification project of 1960, to determine how a modern image might be applied nationally. Miles took charge of the branding. The corporate image would comprise a symbol or mark, a logotype which combined the mark with a special alphabet encompassing all necessary characters for conceivable uses, standard colours for publicity and signs, vehicle liveries, and staff uniforms. would deal with the mark, graphics and uniforms. 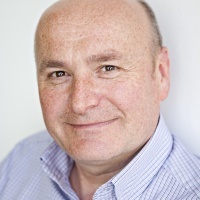 Independent consultant Jock Kinneir – formerly of DRU – collaborated on design of the lettering with his colleague Margaret Calvert. Misha Black and John Beresford-Evans developed the livery. British Railways officers had visited the USA in 1957 to look at railway operation and design. Whilst noting that most passenger services were in decline due to competition from the automobile and domestic air travel, some innovative practice was observed. American coaching stock featured extensive use of plastics, as melamine laminate sheets for the lining of vehicle interiors, and as moulded glass-reinforced plastic for seat units. The visitors also saw better sound insulation, and air suspension. These all found a place in specifications for new British passenger carriages. After the 1963 ‘Coach of the Future’, Wilkes & Ashmore worked with other consultants and British Railways’ Derby workshops to design a complete train known as ‘xp64’ – the ‘xp’ meaning express passenger, a new designation for premium services. It consisted of D1500 series (class 47) locomotive D1733, eight new coaches (three corridor firsts, two corridor seconds, three open seconds) and four refurbished Mark I vehicles. Doors wider than usual and designed to fold on the jack-knife principle to save space, would give better passenger access. 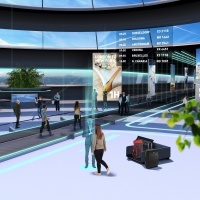 Once on board, travellers could experience improvements through developments in use of space, bigger windows, lighting, and better toilet compartments assembled from four prefabricated plastic parts. The consultants arranged colour schemes too: the second class saloon for smokers was upholstered in yellow, grey and blue wool textiles, and that for non-smoking areas in blue and green. English cherry or Rio rosewood veneer lined some wall surfaces. Aluminium fittings were anodised satin gold or silver. 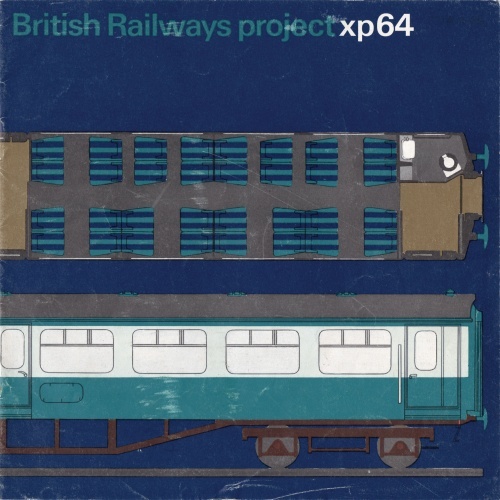 To gather public comments and operating experience, ‘xp64’ ran between London and Edinburgh as ‘The Talisman’ from June 1964, in a livery of blue and pale ivory with dark brown underframes. 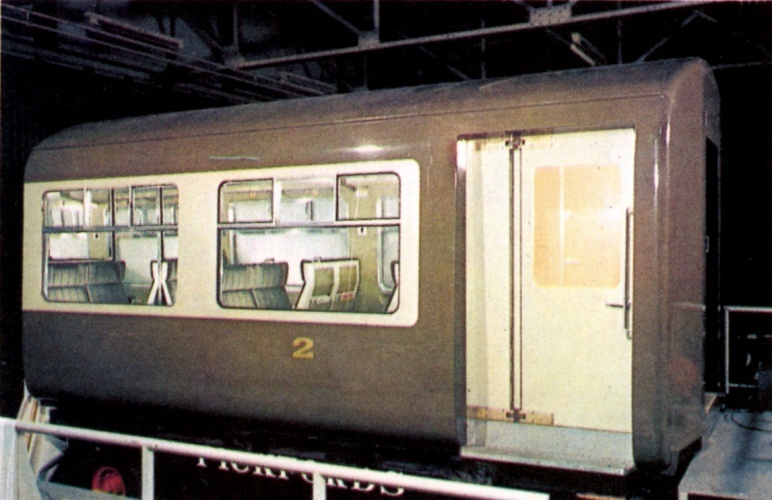 From ‘xp64’, a standard form of passenger vehicle designated the Mark II coach featured first class accommodation in compartments, and second class seating in open saloons, copying ‘xp64’ practice. 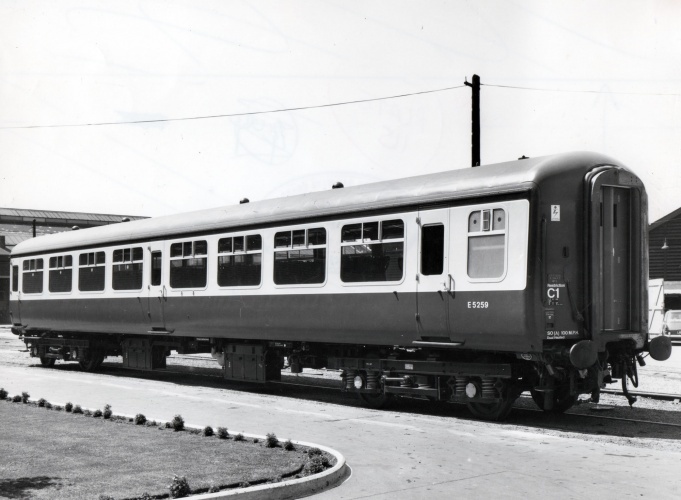 The Mark IIa included a whole range of ergonomic developments, more sound insulation, new vestibules and gangways, new lighter bogies of the B4 type, and metal alloys and plastics replacing wood and steel for coach bodies and seating. For end walls in these coaches teak veneer was used. Design Research Unit evolved a sleeping car compartment for overnight travel. Air-conditioned versions were later developed: by creating entirely enclosed carriages, external sound was substantially reduced. 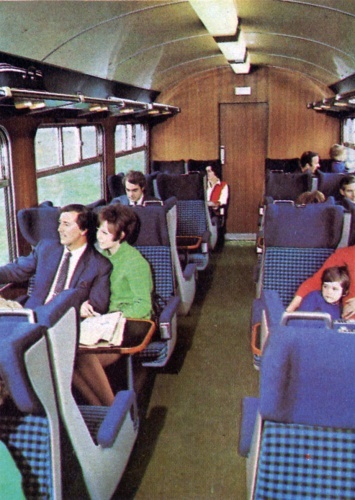 Development of passenger coaches continued through 1964 in preparation for London Midland Region electric services to Manchester and Liverpool which would begin in 1966. A number were of Pullman standard – the highest quality on British Rail – designed by Jack Howe as a continuation of his ideas from the ‘Blue Pullman’ trains. For these vehicles British Rail introduced the Pullman version of its new corporate livery: Rail Blue as a band enclosing the windows on a Rail Grey coach body, with Rail Blue ‘Pullman’ lettering. Howe selected pale grey padded plastic for the carriage interior walls, with blue/black or orange/black carpets. Rosewood veneer lined the saloon ends. Wilkes & Ashmore developed a reclining seat for the train interiors, upholstered in black plastic and blue or rust coloured wool fabric. Luggage racks with integral lamp units repeated the ‘Blue Pullman’ design. Details including the ashtrays were designed by Graham Knox at Wilkes & Ashmore. The range of uniforms developed for station staff during 1962–63 required little revision. It was augmented in April 1964 to include the train-borne guard, driver and secondman (the driver’s assistant – a legacy from steam locomotive crews). Facing the public, it made sense for the guard to wear another variation of the station staffs’ apparel: a firm cap with lion & crown crest badge on a blue felt oval, with one line of silver Russia braid around the edge of the hat flap. The guard’s jacket featured smaller lion & crown crests on light brown flashes, and ‘Guard’ embroidered on the right jacket breast. Driver and secondman wore lighter navy blue suits, and soft ski caps of a grease and waterproof material. Three gold stars on the jacket lapels denoted a driver, and one white metal star the secondman. Jacket buttons featured a monogram formed from seriffed capital letters ‘B’ and ‘R’ overlapping vertically. Jock Kinneir’s Transport lettering had found an application on the Glasgow suburban electrified network, and limited used elsewhere on totem nameplates in regional colours, and for other station signs in black on white (for example at Coventry). When Design Research Unit decided an alphabet was required for the British Rail corporate image, Transport seemed an obvious choice. Margaret Calvert argued that the Transport letter was made for signs to be read when travelling at speed, whereas railway passengers were pedestrians with more time to apprehend visual information. Swiss designers had considerable influence in communication graphics from mid-1950s. For the Haas’sche Schriftgiesserei (Haas’sche Type foundry), Max Miedinger and Eduard Hoffmann designed Neue Haas Grotesk in 1957–58. Soon redrawn and published as Helvetica, the font became popular internationally in the 1960s. Helvetica seemed universal; it looked utilitarian and attractive too. It was not readily available in England when new. Gerry Barney a DRU and Margaret Calvert at Kinneir Associates both essayed a version of it. Soon Calvert’s version of Rail Alphabet joined the new visual identity, made to a sophisticated system of rules controlling how the letters would be used in relation to each other and their context. Rail Alphabet was available in a range of sizes for signing purposes, to give calm and coherent directions and instructions to passengers across the system. Noticing its suitability for railway transport, the lettering was adopted by DSB Danske Statsbaner (Danish State Railways) and NSB Norges Statsbaner (Norwegian State Railways). British Rail Designed 1948-97 by David Lawrence is available now from Ian Allan Publishing. 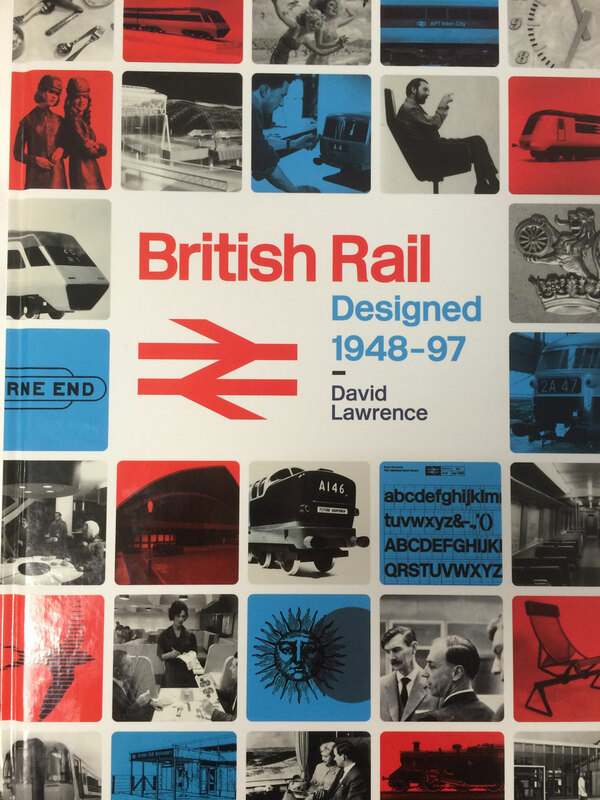 A fantastic book reviewing the success of the ‘British Rail Design’ 1948-97 by David Lawrence.